2. Focus on fun- putting too much importance on one date sets you up for failure. Have fun and take your time, deciding of you like this person enough to see again. Approach each person as a new beginning, really looking at both their interests and yours- are they a good match? 3. Explore your playful side- after a divorce, your self confidence is low, you may feel unattractive and undesirable. Make an extra effort with your appearance, and spend some time on yourself. Engage with your social network and focus on keeping good eye contact and open body language. 4. 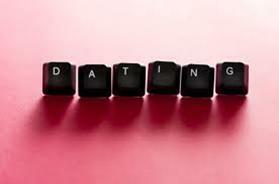 Use your common sense when starting to date again- red flags are warnings that should not be ignored. If your self confidence is low, you may think that you don’t deserve a healthy relationship or that you won’t find someone else, and that you need to settle for the first person you meet. If you find yourself thinking, ” Well, I can live with that” or “I can change him/her”, think again about what you are doing. Remember, the traits of that person will only be amplified as they become more comfortable with you. 5. Meet someone new- volunteer, take a class, ask your social circle for referrals or recommendations. This takes away some of the risk of going out with a complete stranger. Find someone with the same interests as you and suggest a meeting. Even if it’s a not a perfect match for you, you could develop lasting friendships and increase your social network. This can be an exciting time, and it’s normal to have some fears. Keep things light and easy, and use these times to improve your fun loving abilities. Dating after divorce may just be your next great adventure!